The job of a regulator is never easy. It involves delicately balancing often divergent interests. There is no better illustration of this than the recently published call termination regulations, and the media reports that followed. In its press release following publication of the regulations, the Independent Communications Authority of SA (Icasa) stated that it had a triple mandate of ensuring fair prices to consumers, promoting competition in the information and communications technology sector, and promoting a favourable investment environment. But, if media reports are to be believed, publication of the regulations has left parliamentarians and consumers dissatisfied with both the outcome and impact of the intervention. Icasa’s job is made more difficult by perceptions that have formed over time that it is a weak regulator that dances to the tune of industry. These perceptions persist even though Icasa has made great strides in changing the industry landscape, working under difficult circumstances. It is much easier to throw around unsubstantiated and sweeping statements about Icasa’s authority and abilities than to support it in its efforts. Much of the criticism levelled against Icasa within the context of the call termination regulations stems from a lack of understanding of the intention and expected impact of these regulations. Consumers view call termination or interconnection rates as a retail price mechanism whose regulation must then necessarily induce an immediate and direct downward pressure on the price they pay for making calls. When this doesn’t happen, daggers are drawn and Icasa’s efforts are rubbished as futile. Call termination rates are the fees telecommunications companies charge each other for interconnecting or handling calls across networks. By definition, it’s a wholesole rather than a retail rate. If such a rate is set artificially at a high level, as has been the case over the last 15 years or so in SA, it affects the ability of smaller operators to compete against larger, more established players. Inevitably, the high wholesale cost is passed on to consumers in the form of higher retail or call rates. When the wholesale rate is reduced, a natural expectation is for retail rates to follow suit. However, the relationship between the call termination rate and the retail price of a call is not a straightforward one and the impact of a reduction in the former cannot be ascertained based on theoretical deduction. Economists often use the concept of “rockets and feathers” to illustrate the general rapid rise of prices and their often steady and slow decrease. What is clear, though, is that a reduction of wholesale interconnection rates always affects competition in a direct manner. Through competition, retail prices are expected to fall, service quality is expected to improve and more services are expected to be introduced into the market as innovation is spurred. The primary significance of a reduction of wholesale interconnection rates is to change and modify the electronic communications market structure, to introduce new players into the sector and to foster healthy competition within the industry. It is competition that will result in lower retail rates. Prudent regulatory practice justifies the regulation of retail prices where there is monopoly supply of goods or services. Where there are multiple suppliers the regulator must ensure that the interplay among competitors is fair; that the exercise of market power is tamed and that there is open, fair and non-discriminatory access to essential facilities, networks and network components. Where the regulation of interconnection rates has occurred elsewhere in the world, the regulation of retail rates has become unnecessary as prices fall naturally due to competition. Icasa has issued more than 500 electronic communications services and electronic communications network service licences. However, only a handful of licensees are active in the market, owing partly to high interconnection rates. The call termination regulations, coupled with other interventions, are meant to change the behaviour of market participants, with the ultimate benefits flowing to consumers. In arriving at the set rate, Icasa had to balance the interests of consumers and smaller operators who would like to see an immediate drop in interconnection rates to cost-orientated levels with those of larger operators who have benefited over time from high interconnection rates and who would like to maintain the status quo or prolong the reduction for as long as it is possible. The authority proposed a glide path, which gives operators time to adjust their business models and to innovate while at the same time affording smaller operators sizeable cuts. Following the initial reduction of interconnection rates brokered by former communications minister Siphiwe Nyanda – from R1,25/minute to 89c/minute in peak times, MTN laid off hundreds of workers. Nashua Mobile is also retrenching staff and citing lower interconnection rates as a reason. Vodacom reportedly incurred losses of about R800m in revenue in the first half of its financial year. Telkom reported a loss of R640m in revenue since the first rate cut in March 2010. Vox Telecom has recently announced an R842m impairment of goodwill at its Vox Orion subsidiary owing to reductions in interconnection rates. Talk of more industry retrenchments abounds. Icasa could not ignore the potential job losses at a time when the economy is emerging from a devastating recession. When balanced out, though the benefits of the cuts should outweigh the negatives. That said, bigger operators must remain viable, while smaller ones are assisted to grow bigger and better — all without compromising healthy and sound competition. To suggest, therefore, that Icasa has bowed to pressure from the big operators is to ignore evidence and instead fall back on the easier and more comfortable route of rubbishing the regulator. Icasa is changing for the better while its critics remain stuck in the past. The work of conducting market reviews using competition analysis is the first ever in SA, yet the quality of the work done ranks among the best countries in the world. This is despite Icasa’s shoe-string budget and inadequate capacity. It is worth noting that when the Competition Amendment Act was being drafted, the line department had to consider first the financial impact of the amendments on the competition authorities. Adjustments had to be made to the medium-term expenditure framework allocation at the time. The framework is government’s three-year budget projection. Moreover, the theme of “strengthening the competition authorities” was adopted throughout the consultation stages, making it easier to sell the amendments, get buy-in, and rally everyone behind the competition authorities. In 2006, parliament passed the Electronic Communications Act, introducing a new way of regulating the industry, and calling for particular expertise, skills, capacity and structure. Yet, unlike the competition authorities, Icasa continues to operate on the same budget and funding model it had during the previous era. Critical questions were not asked about what the financial implications of the new act would be on Icasa. 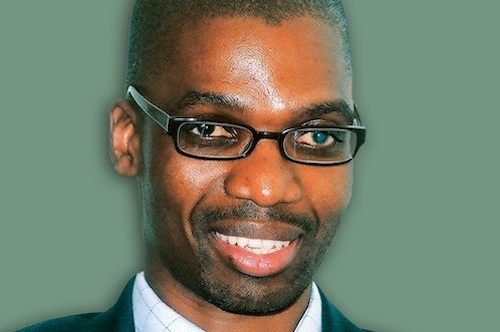 It is, however, heartening that new communications minister Roy Padayachie has promised to strengthen Icasa by enhancing its financial and technical competency so that it functions with confidence and independence. This is exactly what Icasa needs now. In the meantime, it will continue to fulfil its mandate without fear or prejudice. Hmmm. The perception that ICASA is a “is a weak regulator that dances to the tune of industry” is one that has been created over years of ineffectual regulation and poor policy implementation, and that is something that shouldn’t be ignored. The councillor is erudite in his argument, but his argument continues to favour the entrenched large players at the expense of the smaller entrants. The loss in revenue to the Networks due to the reduction in termination fees is not the reason for retrenchments. The reason for retrenchments is that these networks have poor cost controls and have been skimming the cream of an obscenely high interconnect rate. I find it very hard to believe that Vox has a such a huge loss from interconnect when it is a small player and should be paying far more than it receives in interconnect fees. The big players Vodacom, MTN and Telkom who likely have a higher rate of termination may have a reduction of revenue, but I find it hard to have any sympathy for them. The unnaturally high interconnect rates were put in place by these very networks to stifle competition from the new entrant Cell C. The reduction is merely an overdue corrective action. It was time that ICASA’s side of the events was clearified. Much still needs to be done however ICASA is more than on the right track. Wonderful article-if at all possible we would enjoy this level of insight on a regular basis. I fully agree that to hear from “the horse’s mouth” at ICASA on a regular basis is very good for all of us, and I encourage dialogue with the media and consultants about the course. As to ICASA’s perception by the public, my view is it has never been an industry tool, but it has consistently been denied the power by the courts and Ministry to do what was good for the industry. That is an enforcement issue and will need to change. And the councillor is quite correct that the way ICASA is funded will play a role in this. Pushing down interconnection rates from the top without knowing what the true cost of service is, was never going to be a panacea. But failing to order that savings be “flowed through” to end-users was a missed step. A cut of half the size, ordered as retail cuts along with wholesale, would probably have done more to encourage competition and choice than the move that was taken. And the retrenchments are a red herring- operators cut staff for a variety of reasons, and without knowing the true cost of service, no one can claim this is the cause. Such work is very hard, and only ICASA can do it. But it’s not a perfect world, and the best thing is for the regulator to keep on plugging!